Braunvieh is a German word meaning Brown Cattle. There were at least 12 types of brown cattle found in the mountains of Switzerland during the 1600's. These animals showed a wide variation in type and size depending on where they were raised and they form the basis for the modern Braunvieh. Focused selection began in the canton of Schwyz. By the 19th century, breeders began to export these animals to surrounding regions. 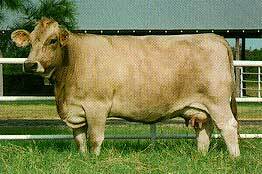 A breeders society was formed in Switzerland in 1897 and is called Schweizerischer Braunviehzuchtverband. In 1974, they accounted for 47% of the cattle found in Switzerland, second only to Simmental. These cattle have been exported throughout the world including western Europe, former eastern block countries and Russia. In many cases the breed was used to improve the quality of the local cattle. In Europe, the Braunvieh are still primarily used for milk production. In comparison to the European Holstein-Friesian they are approximate equal in average daily gain, % milk fat, % milk protein, calving ease and calf mortality. The Braunvieh are lower in milk yield, muscularity, age of sexual maturity and milkability. The Holstein-Friesian has retained more beef characteristics than the American Holstein. Approximately 130 head of Braunvieh were imported into USA from Switzerland between 1869 and 1880. These animals formed the nucleus for the development of the American Brown Swiss. American Brown Swiss have since spread to Canada, Mexico and other Latin countries. 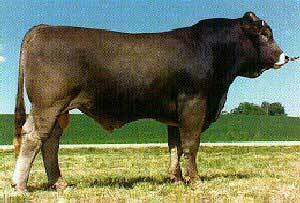 In the mid-nineteen hundreds, they were imported by Mexico where they have flourished as a beef breed. 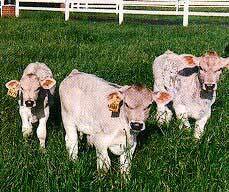 They are used in a commercial capacity to upgrade the beef characteristics of Zebu cattle. In Mexico, separate herdbooks are kept for the cattle, sometimes referred to as European Type Brown Swiss and American Brown Swiss. Canada imported the first modern Braunvieh, a bull Aron, in 1968. Subsequently, many bulls and females were imported directly into Canada in several importations between 1968 and 1985. These were selected in Europe with emphasis on beef production. In Canada, Braunvieh are registered by the Canadian Brown Swiss Association and are referred to as Beef Brown Swiss. They are registered separately from the Dairy Brown Swiss. Many breeders in Canada are members of the Braunvieh Association of America and some of their cattle are registered in the United States. The Braunvieh breed association in the United States (The Braunvieh Association of America) was organized and incorporated in 1984. Original Swiss Braunvieh were imported directly from Switzerland in 1983, for the first time since 1880, by Harlan Doeschot of Firth, Nebraska, who had been in Switzerland looking for Simmental cattle to import and was greatly impressed by the uniformity and reproduction efficiency of Braunvieh. Since 1983, a significant exchange of breeding stock had taken place between American and Canadian breeders. Braunvieh are various shades of brown, predominately mousy brown, but ranging from light brown with gray to very dark brown. The border of the muzzle is very light, as is the poll, and often a lighter colored dorsal stripe is seen. The udder and inside of the legs and underline also being the lighter shade. A darker, smokier shading is often evident around the shoulders and neck compared to the rest of the body. The switch of the tail is dark brown to black. The skin is pigmented, the muzzle is black, and the hooves are dark and very hard. Body weights range from 1,200 to 1,500 pounds for adult females and 2,100 to 2,500 pounds for adult males. Steers at optimum slaughter weight are 1,100 pounds at 13 months of age.